World Turtle Day® was created in 2000 to celebrate and protect turtles and their disappearing habitats around the world. 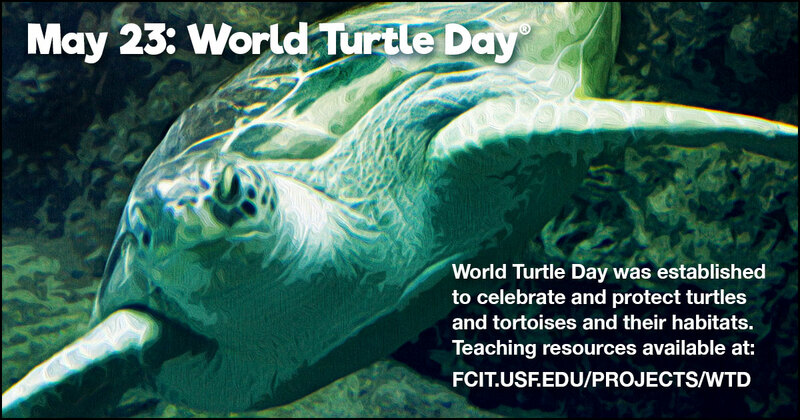 Use this banner on social media to share FCIT’s collection of teaching resources about turtles. 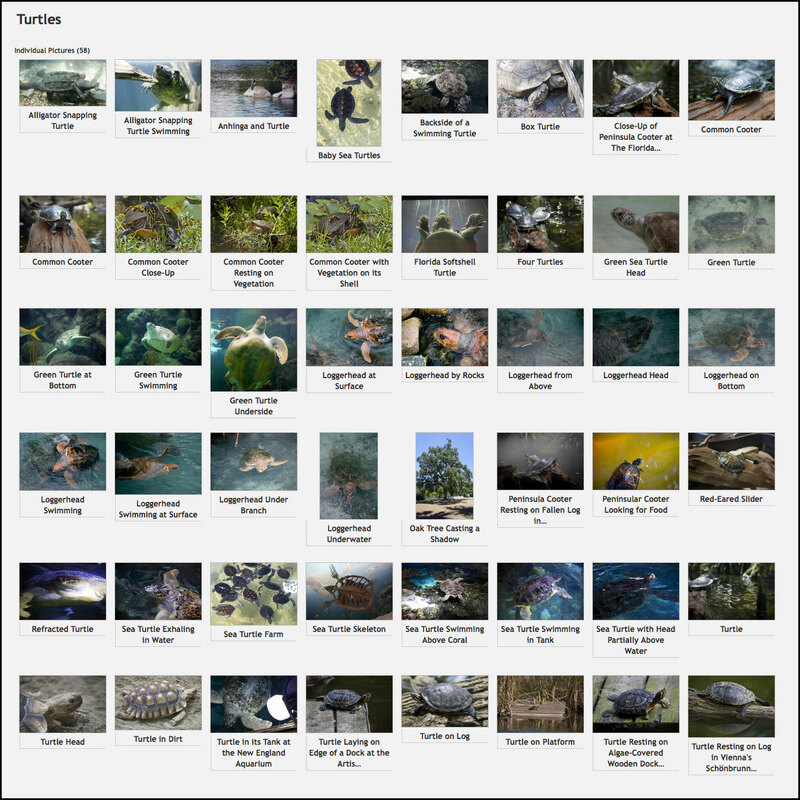 Over 50 photos of turtles in nature and in captivity from the ClipPix ETC website. 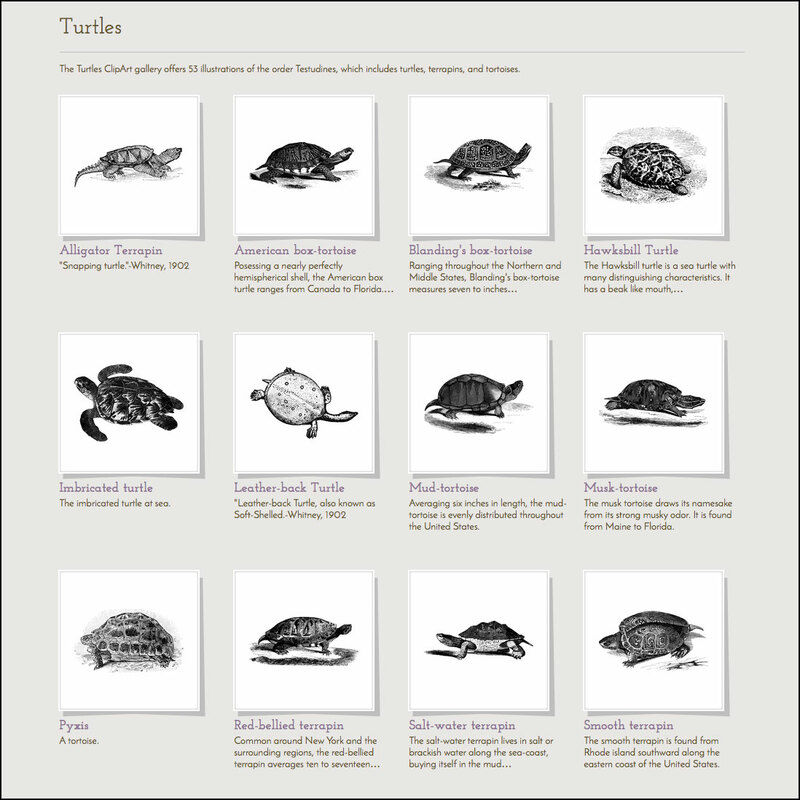 Over 50 turtle illustrations from the ClipArt ETC website. A small collection of stock video footage of turtles, suitable for classroom projects. 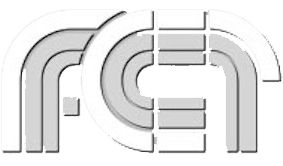 Available from the ClipVideo ETC website. 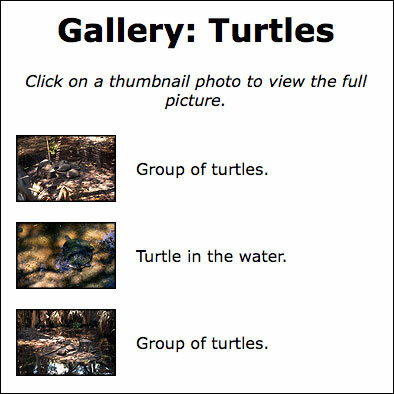 Small gallery of turtle photos from the Exploring Florida website. 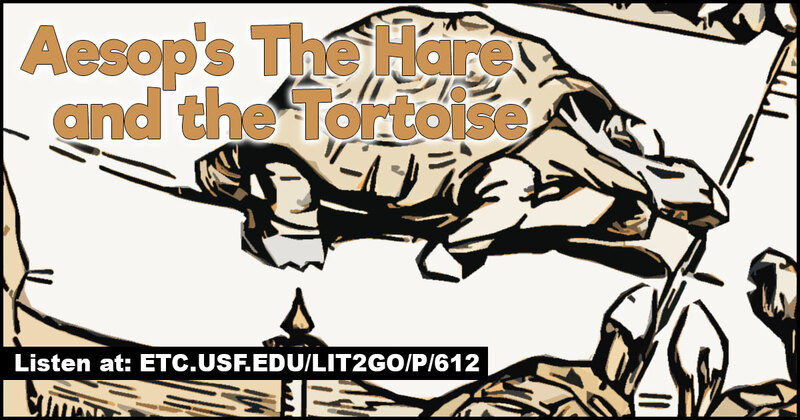 Aesop’s famous Hare and Tortoise fable teaches the moral, “Plodding wins the race.” Lit2Go Duration: 1 minute. 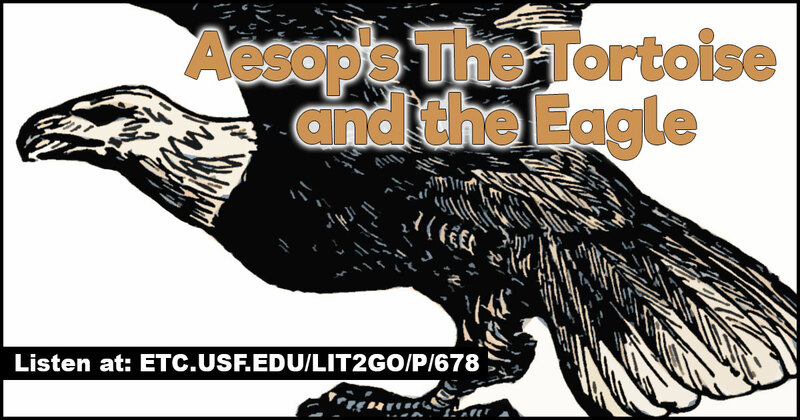 Aesop’s fable of The Tortoise and the Eagle teaches the moral, “If men had all they wished, they would be often ruined.” Lit2Go Duration: 1 minute. 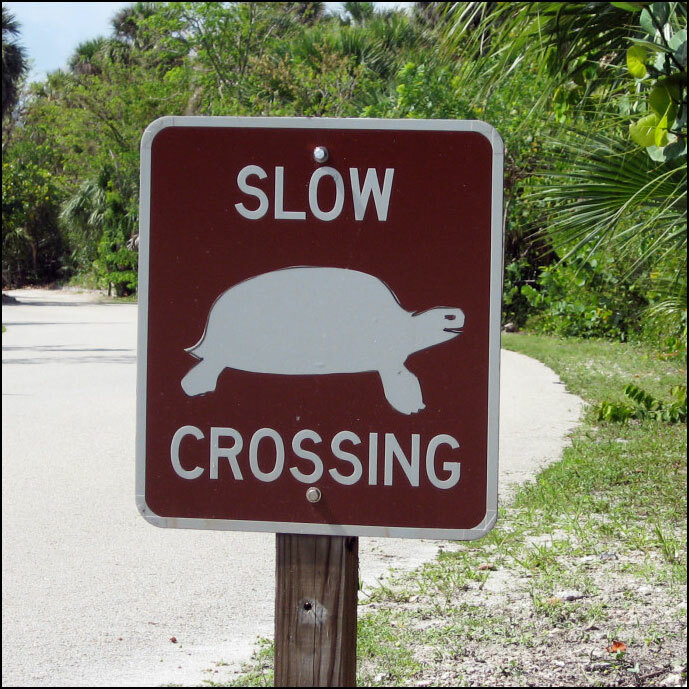 Photo of turtle crossing sign at Delnor Wiggins Pass State Park, Naples, FL. Available from the ClipPix ETC website. 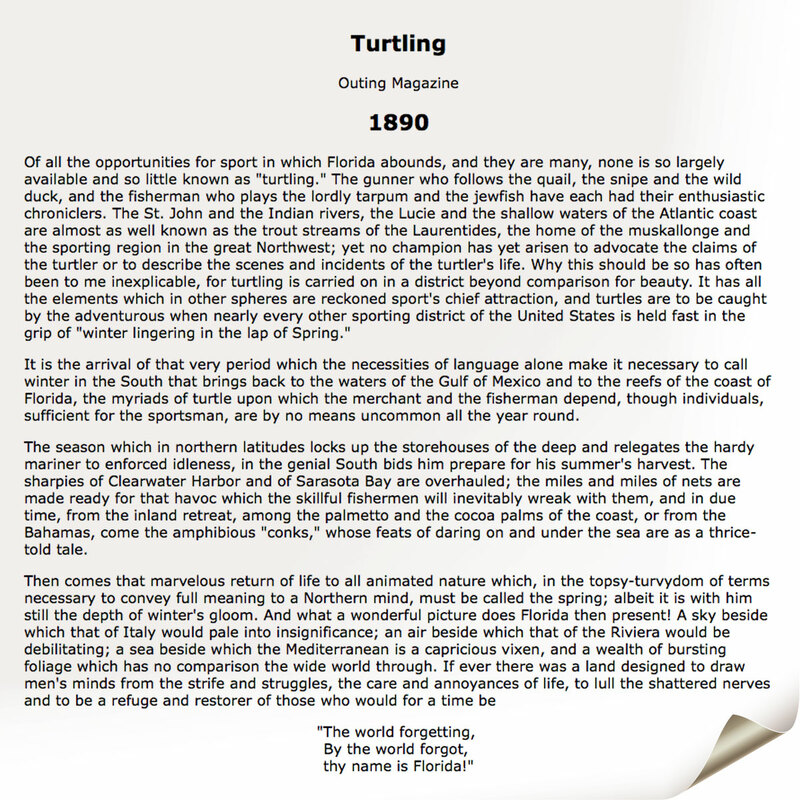 The Turtling article of The Outing Magazine describes how turtles and their eggs were hunted in the nineteenth century. 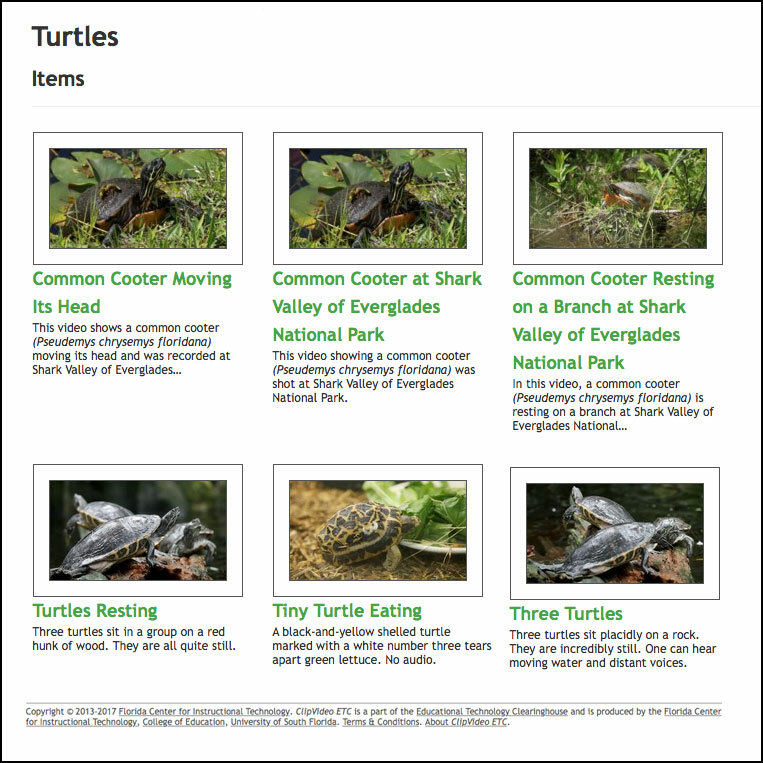 Available from the Floripedia section of the Exploring Florida website. Stereoview of green turtles in Key West. 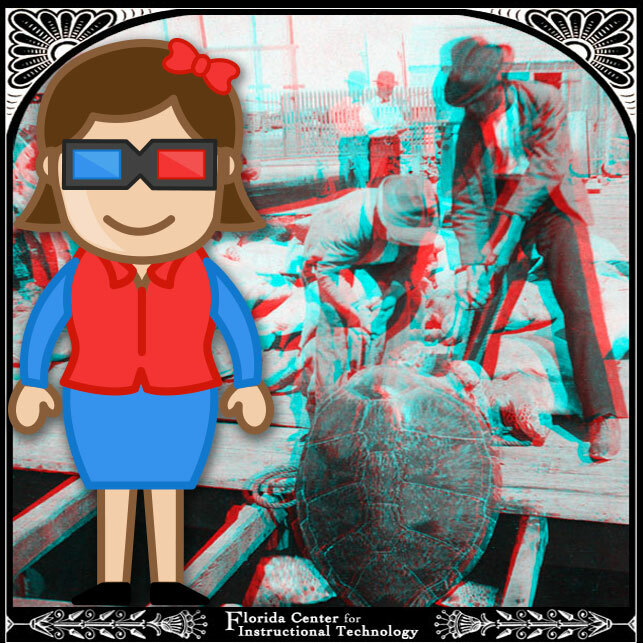 The lengthy description on from the stereoview card back describes how green turtles lay their eggs on land and how turtle hunters catch them by flipping them over on their backs. Image from the Exploring Florida website. Red/blue 3D glasses required for viewing. 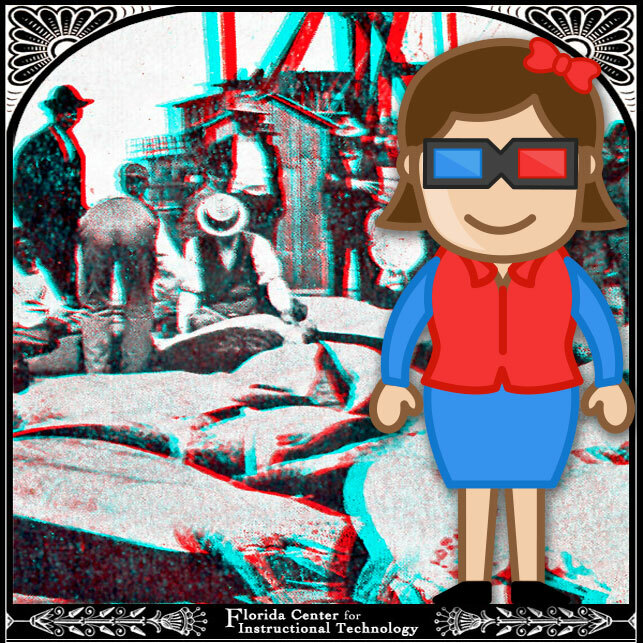 Stereoview of turtles being shipped from Key West to New York City, from the Exploring Florida website. Red/blue 3D glasses required for viewing.